Double header reissue heat from the Unidisc back catalogue! 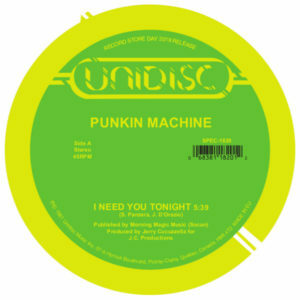 One of the most in demand titles from the cult Canadian labels repertoire - Punkin Machine’s “I Need You Tonight” was first heard in the clubs in 1981 and received anthemic status, finding new favour with DJ's in the early 2000's excavating the wide world of Disco (the track featured on DFA's legendary Fabric mix CD in 2007). Copies of this instantly recognisable disco bomb are very tough to come by and are now going for big money in the second hand market with 100’s of wants, and for good reason! 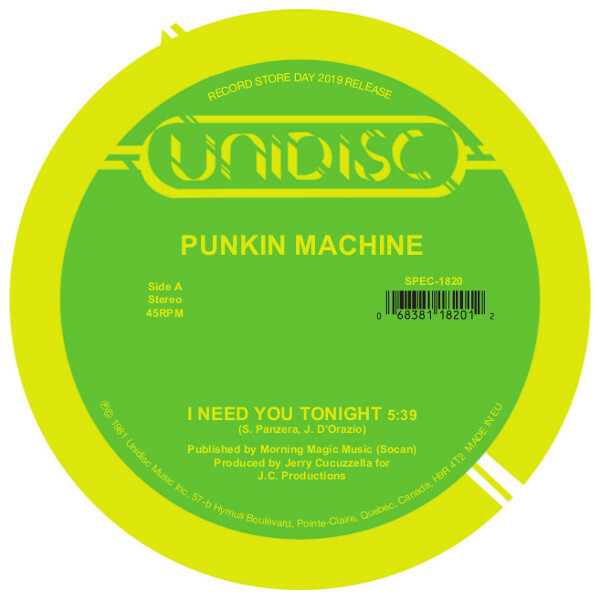 The track was later covered by Suzy Q, who’s version entitled “Tonight”, is included here on the flip side in both the original vocal and dub / instrumental versions. Both tracks on this double header have been re mastered from the original tapes held in Unidisc’s Montreal HQ for maximum sonic Discotheque playback! Essential and hot tracks for dancers and disc jocks alike!